Sign up at www.Scholastic.com/bookclubs . On the parent page, click the "Don't have a User Name and Password?" link, then register for your own username and password. When prompted, enter the one-time Class Activation Code: GVX4F. This code ensures that your order is sent to Wee Wisdom. SELECT the books you'd like to order from over 500 titles available online..and take advantage of online-only specials and discounts. 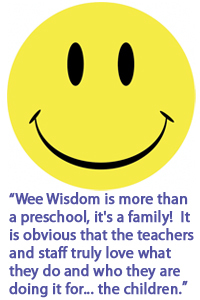 Send your order to Wee Wisdom by the due date. Books will be delivered directly to our classroom as always. I will send out a printout of this information on Monday.